A world divided. A queendom without an heir. An ancient enemy awakens. The House of Berethnet has ruled Inys for a thousand years. Still unwed, Queen Sabran the Ninth must conceive a daughter to protect her realm from destruction—but assassins are getting closer to her door. Ead Duryan is an outsider at court. Though she has risen to the position of lady-in-waiting, she is loyal to a hidden society of mages. Ead keeps a watchful eye on Sabran, secretly protecting her with forbidden magic. 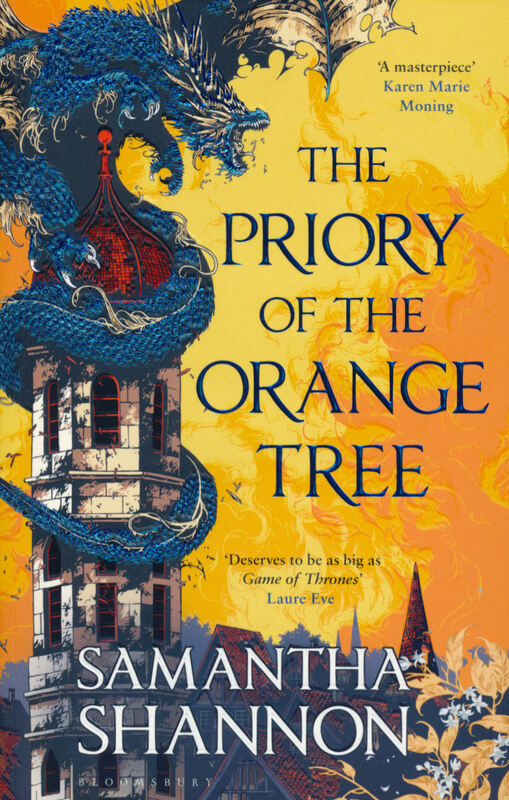 Across the dark sea, Tané has trained all her life to be a dragonrider, but is forced to make a choice that could see her life unravel. Meanwhile, the divided East and West refuse to parley, and forces of chaos are rising from their sleep. Samantha Shannon studied English Language and Literature at St. Anne’s College, Oxford. The Bone Season, the first in a seven-book series, was a New York Times bestseller and the inaugural Today Book Club selection. Film and TV rights were acquired by the Imaginarium Studios. The Mime Order followed in 2015 and The Song Rising in 2017. 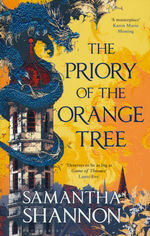 Her next novel, The Priory of the Orange Tree, will be published in February 2019. Her work has been translated into twenty-six languages. She lives in London.